Welcome to the Data Science research using new topological methods for Materials Science, Computer Vision, Climate. If you are a potential postdoc, PhD student or intern with C++ or Python skills, read the blog post how to join the group. 1-hour video of the talk "Skeletonization algorithms with theoretical guarantees for unorganized point clouds" at the online seminar of the Applied Algebraic Topology Research Network, May 2018. Topological methods for a faster materials discovery (47 min) at Applied Topology, Bedlewo (Poland), June 2017. 1-min video spotlight at CVPR 2014 (Computer Vision and Pattern Recognition), Columbus, Ohio (USA), June 2014. Applications of Topological Data Analysis to Computer Vision (1h), Microsoft Research, Cambridge (UK), February 2014. Reconstruction of plane graphs from noisy samples (1 hour), Informatics Forum, Edinburgh University, April 2013. Data Scientist at the Materials Innovation Factory (University of Liverpool) funded by Unilever, HEFCE, Leverhulme, ERC. MIF is a new £68 million institute spun out from the 1st Chemistry department in the UK for 4*/3* research (2nd overall). Senior Lecturer (Associate Professor) in the 1st Computer Science department in the UK for 4*/3* research (10th overall). Leader of the Intel Parallel Computing Center funded via the Big Data Center at the Lawrence Berkeley laboratory, US. Main organiser of the LMS-funded network Applied Algebraic Topology including Liverpool, Southampton, Queen Mary. Management team member of the Topological Data Analysis centre between Universities of Oxford, Liverpool, Swansea. April 2019 : invited to chair the session "Mathematical and statistical physics" and to give the talk "A continuous approach to a classification of solid crystalline materials" at the British Applied Mathematical Colloquium (BAMC 2019), Bath, UK. 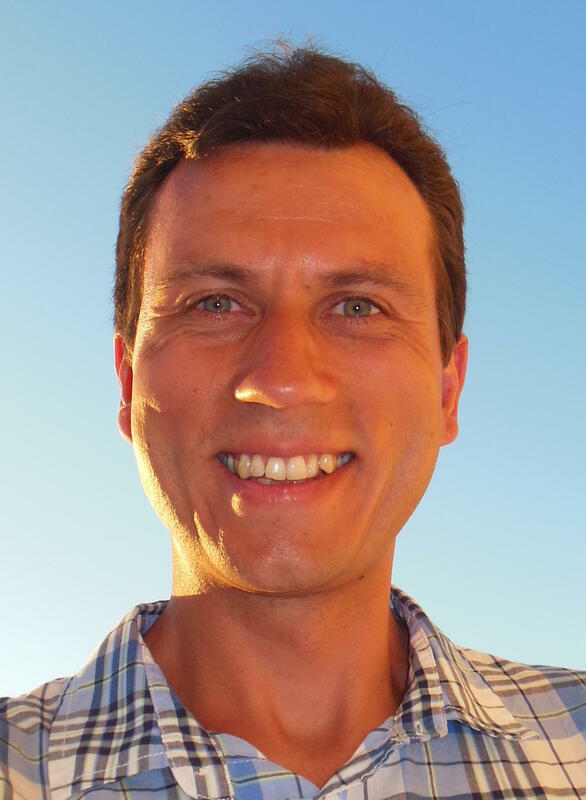 March 2019 : Grzegorz Muszynski has been invited to give a plenary talk "Topological Data Analysis and Machine Learning methods for pattern detection in spatiotemporal climate data" in Session 7 (Statistical and machine learning in climate science) at the International Meeting on Statistical Climatology (IMSC 2019) on 24-28 June 2019 in Toulouse, France. 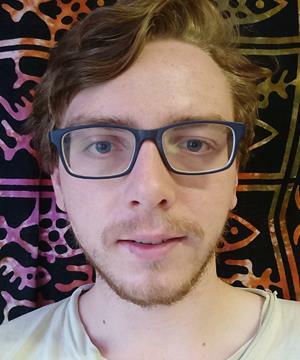 March 2019 : multi-billion company Unilever has agreed to top-up the PhD bursary (£6K per year over 3 years) for Thomas Welsh, who has done a great MSc thesis for Unilever and continues working on Unilever's projects. 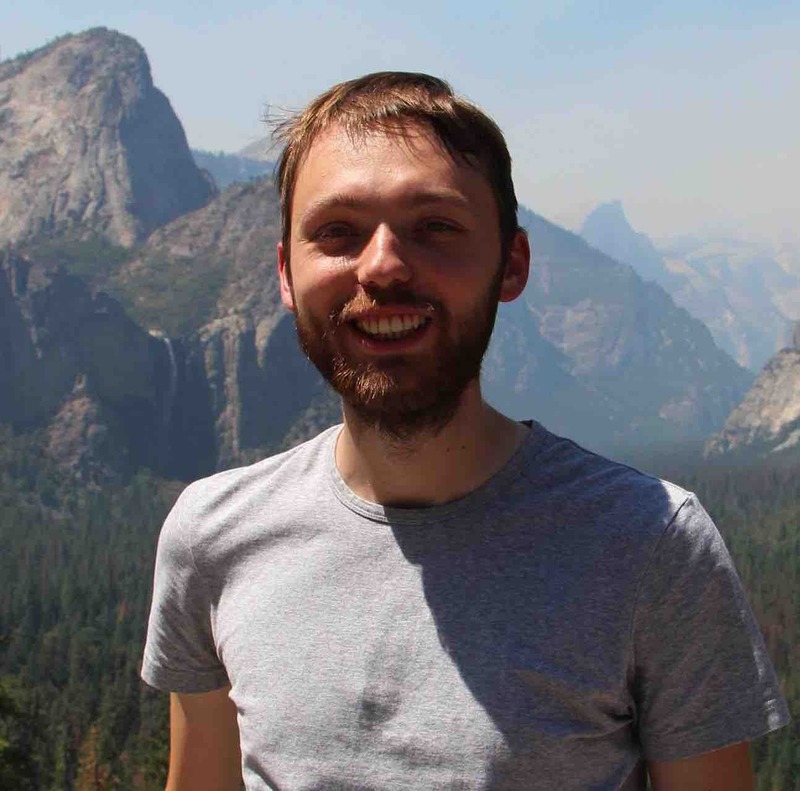 March 2019 : PhD student Phil Smith has presented his poster "Computational Methods for a Faster Materials Discovery" on our joint work during the poster day in the Faculty of Science and Engineering, University of Liverpool. 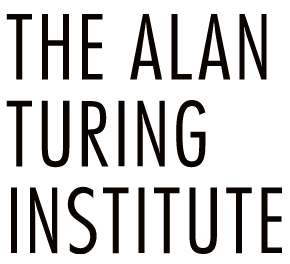 March 2019 : gave the 45-min invited talk "Potential Solutions to Mathematical Challenges for Solid Crystalline Materials" at the AI for Materials Discovery Workshop on 19th March 2019 at Southampton, UK. Since March 2013 : previous news stories are in the news archive. EPSRC grant awarded under the call New Approaches to Data Science jointly with Principal Investigators Prof Ulrike Tillmann and Dr Heather Harrington from Oxford and a team from Swansea. The 100% budget is more than £3.5M over 2018 - 2022. I've led the Computer Science team at Liverpool with a budget over 715K GBP including Prof Andrew Cooper, Paul Spirakis, Igor Potapov. The success has led to the creation of the Centre for Topological Data Analysis and was highlighted in the university news. Title : Application-driven Topological Data Analysis (ref. EP/R018472/1). Unilever's top-up (18K GBP since March 2019) for the PhD bursary of Thomas Welsh, who has done a great MSc thesis for Unilever in summer 2018 and continues working on Unilever's projects in his PhD. The Royal Society International Exchanges grant (12K GBP until December 2019) for bilateral visits between the TDA group at Liverpool (UK) and Prof Herbert Edelsbrunner's group at IST Austria. 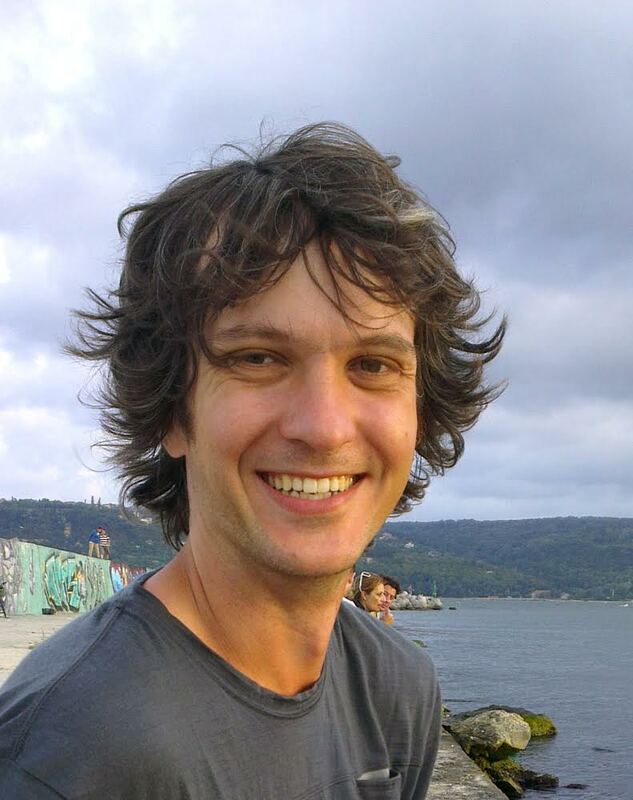 Intel gift (80K USD) for Grzegorz Muszynski's PhD "Topological analysis of the Climate System" funded through the Lawrence National Berkeley lab (US) from April 2017 at the University of Liverpool, UK. Knowledge Transfer Secondments at Microsoft Research Cambridge with Dr Andrew Fitzgibbon. 2014 - 2016 : EPSRC gave about 24K GBP, Microsoft Research provided 75K GBP in-kind contribution. Title : Applications of Topological Data Analysis to Computer Vision. Covered visits to Prof Carlsson at Stanford University (US) and Ayasdi, to Prabhat at Lawrence National Laboratory in Berkeley (2016). Title : Persistent Topological Structures in Noisy Images (ref. EP/I030328/1), which continued as Knowledge Transefer Secondments at Microsoft Research Cambridge in 2014-2016. Marie Curie International Incoming Postdoctoral Fellowship (142K Euros) Combinatorial Knot Theory. University of Liverpool (UK), September 2005 - May 2007. Postdoctoral Fellowship (22K Euros) on Combinatorial Group Theory at University of Burgundy, Dijon (France), December 2003 - November 2004. The group leads a development of new geometric and topological methods that will enable next generation materials discovery. The key difference with past discrete tools (such as symmetry groups) is a continuous (stable-under-noise) approach to a mathematical classification of crystals. The following success stories have appeared in the university news. In January 2018 the EPSRC awarded £2.8M to the 5-year project Application-Driven Topological Data Analysis in 2018 - 2022 (EP/R018472/1) at the Universities of Liverpool, Oxford, Swansea. The Liverpool team has a budget over £715K. In August 2017 the group has established the Intel Parallel Computing Centre (IPCC) funded at the University of Liverpool by Intel as a part of Big Data Center at the Berkeley lab to develop new methods for detecting extreme weather events. Postdoc Dr Ana Garcia (September 2018 - August 2023) works on mathematics of crystals in the MIF, funded by the EPSRC grant "Application-driven Topological Data Analysis" (EP/R018472/1). 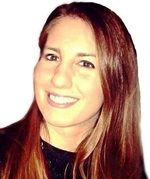 Ana is originally from Mexico, has completed a PhD in Algebraic Topology at the University of Warwick in 2013, held a postdoctoral position in geometry and gained industry experience as a data scientist. PhD student Mr Grzegorz Muszynski (since April 2017) is supervised by Dr Vitaliy Kurlin (80%) and the Senior Staff Scientist Michael Wehner, funded by the Intel Parallel Computing Center. Grzegorz has a split-site supervision agreement and spends July-December at the NERSC in the Berkeley lab (US). Project : Topological Analysis of the Climate System. Grzegorz has gained a Computer Science degree from the Technical University of Warsaw in 2016. PhD student Mr Philip Smith (since October 2017) is supervised by Dr Vitaliy Kurlin (80%) and Prof Igor Potapov, funded by the Leverhulme Centre at the Materials Innovation Factory in Liverpool. Project : New Computational Methods for a Faster Materials Discovery. 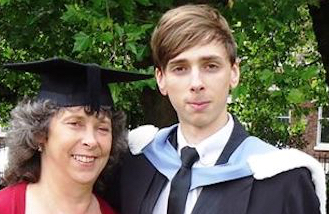 Phil has gained a first class 4-year degree in mathematics from Durham University in 2017 and also learned C++ programming skills during his summer projects under my supervision in 2016-17. PhD student Mr Yury Elkin (since November 2017) is supervised by Dr Vitaliy Kurlin (80%) and Dr Marja Kankaanrinta, funded by the school of EEE&CS at Liverpool. Yury has a split-site supervision agreement and spends 6 months every year (summer/winter vacations) at the University of Helsinki. Project : Topological methods in shape recognition. Yury has gained strong mathematical skills in his 4-year degree at the University of Helsinki, Finland. 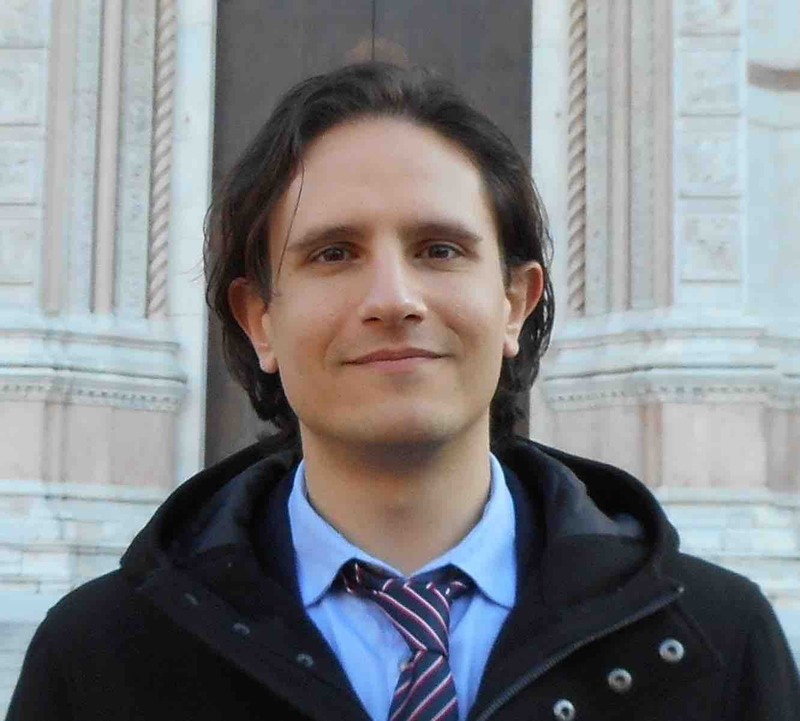 PhD student Mr Marco Mosca (since October 2018) is supervised by Dr Vitaliy Kurlin (50%), Dr Ana Garcia (30%) and Prof Andy Cooper, funded by EEE&CS to develop an impact case with the CCDC. Project : Discovering hidden patterns in high-dimensional data for materials science. Marco has gained a degree in Computer Science and Bioinformatics at the University of Bologna, Italy. 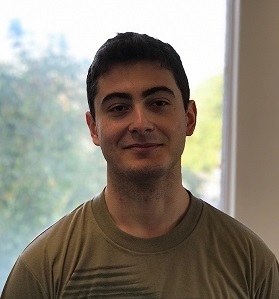 PhD student Mr Thomas Welsch (since January 2019) is supervised by Dr Vitaliy Kurlin (80%) and Dr Shan Luo, funded by the school of EEE&CS as the support for the EPSRC grant EP/R018472/1. Project : New Topological and Geometric Methods for Computer Vision problems in Materials Science. Thomas has gained Computer Science degrees: BSc from Tennessee (US), then completed an excellent MSc thesis under my supervision in Liverpool for a project on image processing important for Unilever. PhD student Mr Krasen Samardzhiev (since October 2017) is supervised by Dr Daniel Arribas-Bel, Dr Vitaliy Kurlin (40%) and Prof Alex Singleton, funded by the Data Analytics and Society CDT. Project : A Topological Data Analysis of Big Spatio-Temporal Urban Data. PhD student Mr Fraser Holloway (since October 2017) is supervised by Dr Laura Harkness-Brennan and Dr Vitaliy Kurlin (40%), funded by the Big Data Science Centre for Doctoral Training in Physics. Project : Topological Data Analysis methods for AGATA (a gamma-ray detector). 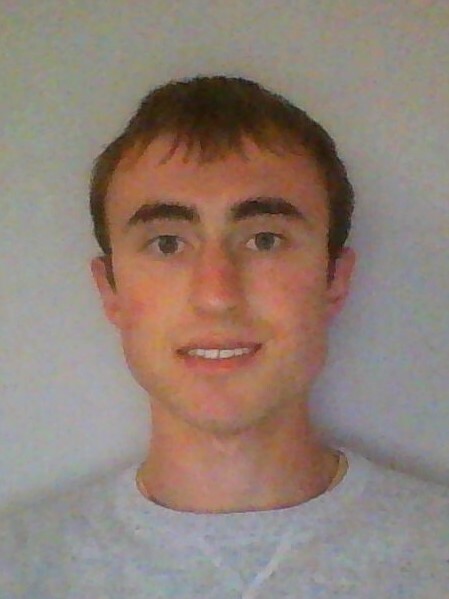 Fraser has completed a BSc degree in Physics at Liverpool, UK. PhD student Ms Katerina Vriza (since October 2018) is supervised by Dr Matthew Dyer, Dr Vitaliy Kurlin (20%), funded by the CCDC and Leverhulme Research Centre at the Materials Innovation Factory. Project : Data Driven Discovery of Functional Molecular Co-crystals. Katerina is well-educated with two degrees: BSc in Electrical Engineering and BSc+MSc in Chemistry. 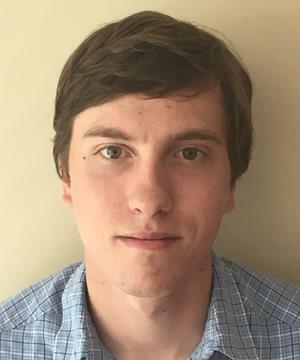 PhD student Mr Cameron Hargreaves (since October 2018) is supervised by Dr Matthew Dyer and Dr Vitaliy Kurlin (40%), funded by the SOLBAT project (a part the Industrial Strategy Challenge Fund). Project : Data Science and Machine Learning for the Discovery of Solid Lithium Ion Conductors. Cameron has completed BSc in Electrical Engineering and MSc in Computer Science at Liverpool. PhD student Mr Miloslav Torda (since October 2018) is supervised by Prof Yannis Goulermas, Dr Vitaliy Kurlin (40%), Prof Graeme Day, funded by the Leverhulme Centre at the Materials Innovation Factory. Project : Analysis of energy landscapes of molecular crystal structures employing combinatorial and topological methodologies. Milo is well-educated with two 5-year degrees in Psychology and Mathematics/Probability. The photo below was taken in January 2019. Members from left to right: Miloslav Torda, Ana Garcia, Vitaliy Kurlin, Thomas Welsch, Grzegorz Muszynski, Katerina Vriza, Marco Mosca, Philip Smith. Short-term project students in 2018-19: Cristian Badoi (3rd year), Samuel Ball (4th year), Ruilin Han (3rd year), Yuhao Hua (3rd year), Di Liu (3rd year), Kristian Rowan (3rd year), Yijia Zhao (3rd year). The group offers the opportunity to give informal talks at the regular group seminar. You could also explore the former students and postdocs of the research group. If you know C++ or Python, and wish to join as an intern, PhD or postdoc, please read the post how to join the group. There will be 11 PhD projects funded at the EU/UK level for the Doctoral Network in Artificial Intelligence for Future Digital Health, which be advertised in late April with a deadline in mid-May 2019. E-mail me your expression of interest. If you follow the advice, we may support your application for a PhD studentship or a postdoctoral fellowship listed below. Mexican PhD Scholarships (the webpage in Spanish). Potential candidates are welcome to consult postdoc Dr Ana Garcia. PhD scholarships at the University of Liverpool (different deadlines depending on your country and case). Commonwealth PhD Scholarships (for low and middle income countries, deadlines in February/March). AXA postdoctoral fellowships (deadlines in early April/October). Leverhulme Trust Early Career Fellowships (deadlines in February-March). 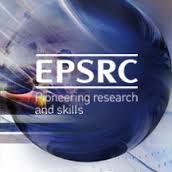 EPSRC Postdoctoral Fellowships (no deadline, best submitted in January or July). Royal Society Newton International Fellowships (deadlines in February-March, extra fellowships for candidates from Israel, China, Italy, Brazil, Mexico, South Africa, Turkey). Mentoring : Dr Alexey Chernov (postdoc in 2011-2012) is a Senior Lecturer in Statistics at Brighton University, UK. Dr Marjan Safi-Samghabadi (PhD student in 2009-2013) is a lecturer at International Imam Khomeini University, Iran. Major collaboration with Prabhat (since 2017) leading the Big Data Center funded by Intel at the Berkeley lab, US. Most prestigious grant : Marie Curie International Incoming Postdoctoral Fellowship (2005 - 2007). Keynote applied talk : Topological Computer Vision at Prospects in Data Science (January 2016). Best applied paper introducing the skeleton HoPeS in Computer Graphics Forum (August 2015). Best conference paper : V. Kurlin, Proceedings of Computer Vision and Pattern Recognition (2014), a top 3 conference in entire Computer Science and the highest h-index conference in any field. Industry experience : secondments in the Computer Vision group (2014 - 2016) at Microsoft Research, Cambridge (UK). Teaching award : one of 3 final nominees in the Science Faculty for a Lecturer of the Year award (2013). Best pure maths talk : 20-min oral at International Congress of Mathematicians 2006, Madrid. Best pure maths paper : V. Kurlin, Compressed Drinfeld associators, Journal of Algebra (2005). Best public talk : What can Deep Learning do with Big Data? at the Pint of Science festival in Liverpool on 17 May 2017. Largest admin success : as the MSc course director in 2011-2013, I doubled the enrolment by asking candidates to solve maths problems as an entrance exam, which brought extra 100K+ GBP to university. PGCert : Postgraduate Certificate in Teaching and Learning in Higher Education (2008 - 2009) and full membership of the Higher Education Academy, UK. Thesis : Basic embeddings of graphs and 3-page embeddings of graphs. Supervisors : Prof Victor Buchstaber and Prof Arkady Skopenkov. Thesis : Turaev-Viro invariants of compact 3-dimensional manifolds. Thesis : 3-page diagrams of spatial 3-valent graphs. Gold medal (top grades 5/5 in all subjects),	Physical-Mathematical School N146, Perm (Russia), June 1995. Top grades in mathematics and physics in the 2-year distance course by Moscow Institute of Physics and Technology (September 1993 - May 1995) whose famous graduates include the Nobel laureates A. Geim and K. Novoselov. October 2000 - June 2001 : C++ programmer in traffic recognition, TochMash Module, Moscow, Russia.